I've been having this green smoothie for breakfast every morning since the beginning of the year. My oldest daughter Lani asked me, "Why have you been having smoothies for breakfast?? It's so cold!" I laughed and told her that I've been feeling like having healthy smoothies lately. This tropical, green smoothie, which includes: 1 cup of coconut milk; 1 c or more of spinach (or kale); 1 banana; 1/2 c of vanilla, Greek yogurt; 1/2 c of frozen pineapple, and 2 tbsp of shredded coconut. This orange, banana smoothie (I add spinach or kale and omit the strawberries): 1 c of orange juice; 1 c or more of spinach (or kale); 1 frozen banana; and 1/2 c of vanilla, Greek yogurt. 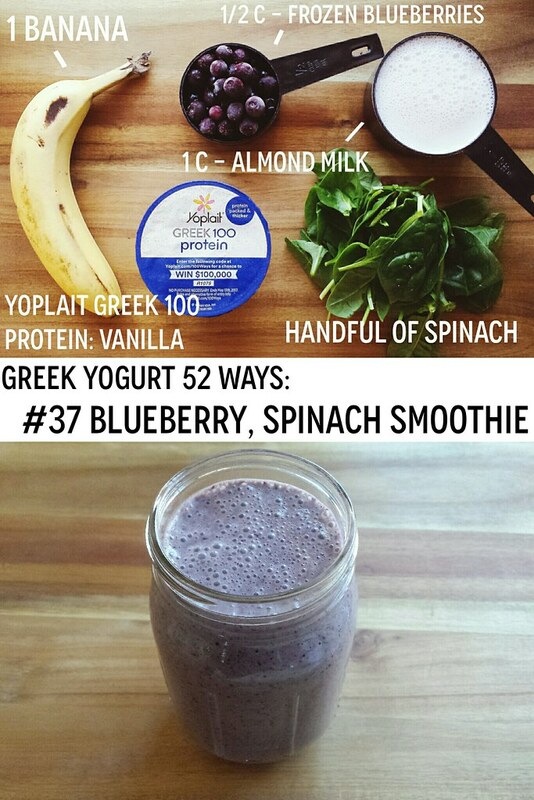 This is a good recipe for those not used to green smoothies yet. The orange juice is primarily what you taste. This simple, green smoothie: 1 c of soy milk (I've also used almond milk and coconut milk); 1 c of more of spinach (or kale); 1 frozen banana; and 1/2 c of vanilla, Greek yogurt. The recipe I am sharing today follows that template. 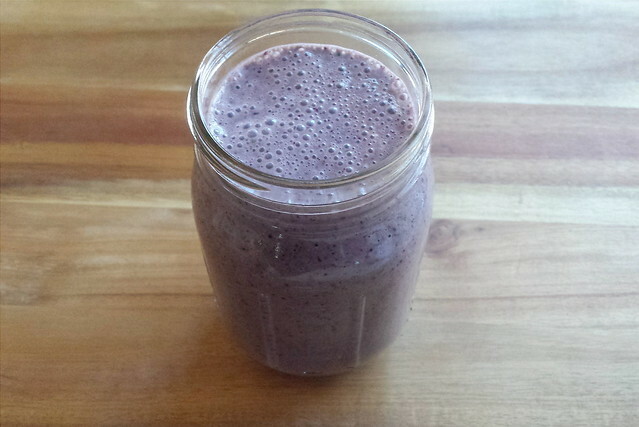 This smoothie is refreshing, delicious, and satisfying (because of all that protein). *This post isn't sponsored. 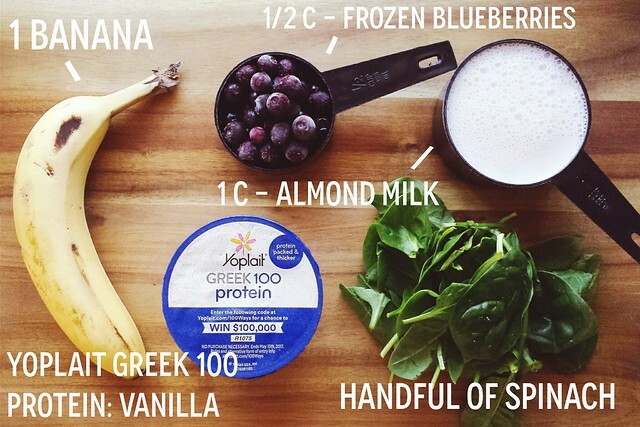 I just loved that this Greek yogurt option had double the protein serving! If you try a recipe I share, be sure to let me know! 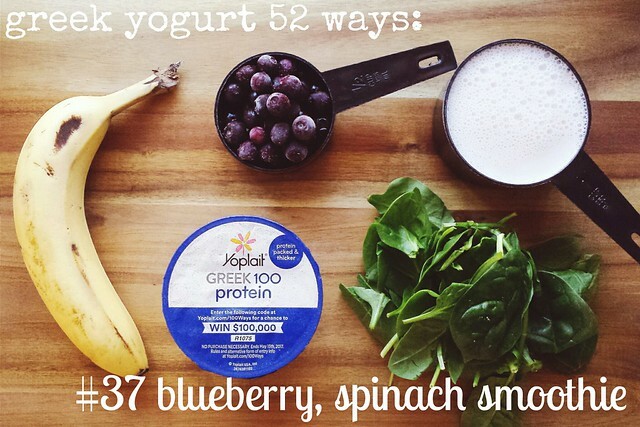 Use the hashtag: #greekyogurt52ways.